2x Champion, 3x Reserve Champion! What more can you say!! Just take a look at this guy!! Psylent Knight has been throwing color champions all over the United States and will continue to do this in the future. With very solid dark genetics this guy is producing packages that the industry is just loving. They have it all. Lock, luster,density and fineness. Take a look at some of the recent show results in the true black classes and I guarantee you will see Psylent Knights name as the sire to many of these champions. Full Accoyo, Bred to Bojack! LUSTER, LUSTER, LUSTER! This one produces it to the MAX!! !This one again has a super solid genetic package that will take your program to the next level! 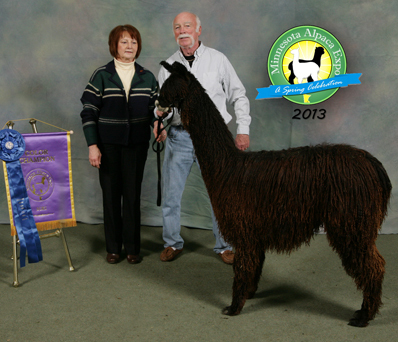 She's bred to 14 time banner winner Goldstar's Bojack, who is producing elite cria!! This combination should produce something very special!! 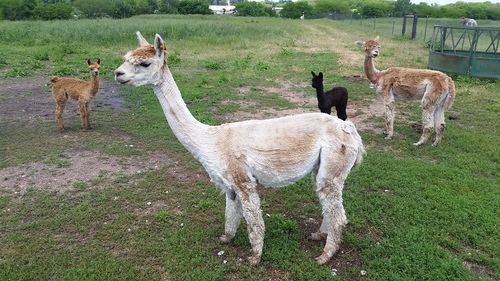 Don't hesitate, as the price will probably go up after the cria is on the ground!!! 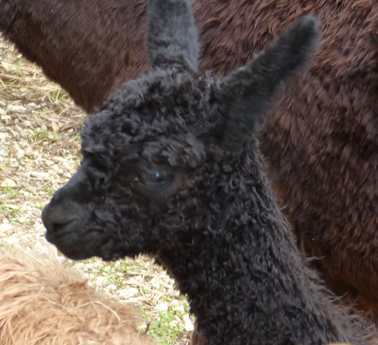 True Black male cria born 5/17/16. Zalika is unbelieveable. Her fleece ranks in the Top 9% for AFD and Top 8% for Spin Fineness. Couple that with impeccable conformation, lock, luster, fineness and density, and you have an irreplaceable Suri. 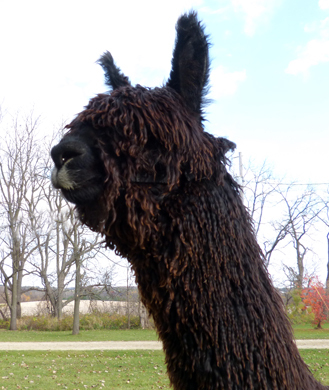 Zalika's pedigree is dark and filled with interesting out-crosses to our program. In fact, she is a rare "gem" indeed! 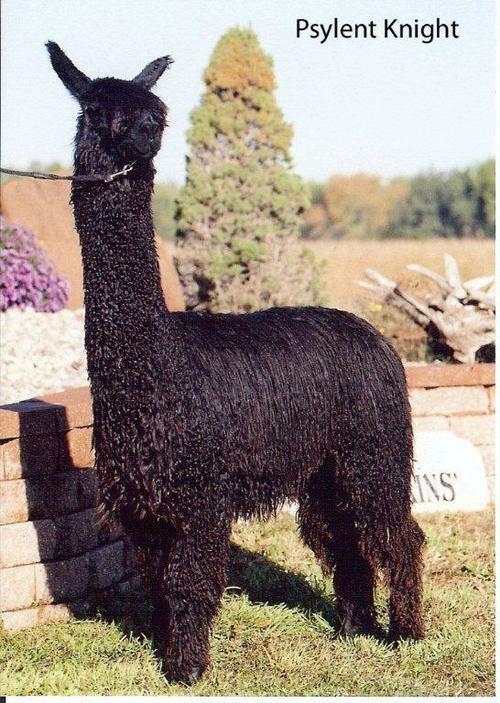 Since retiring from the show ring, Zalika has given us two True Black sons by Black Beau of PVA: Beau Geste and HPR Alexander. Both of her sons carry lustrous "Baby" fine fleece and a lot of it! Zalika could be bred to virtually any male we can think of without line-breeding, but we chose HPR Alaskan Gold - wouldn't you? !